Chancellor Ronnie Green filled key leadership positions during his first year at the helm. 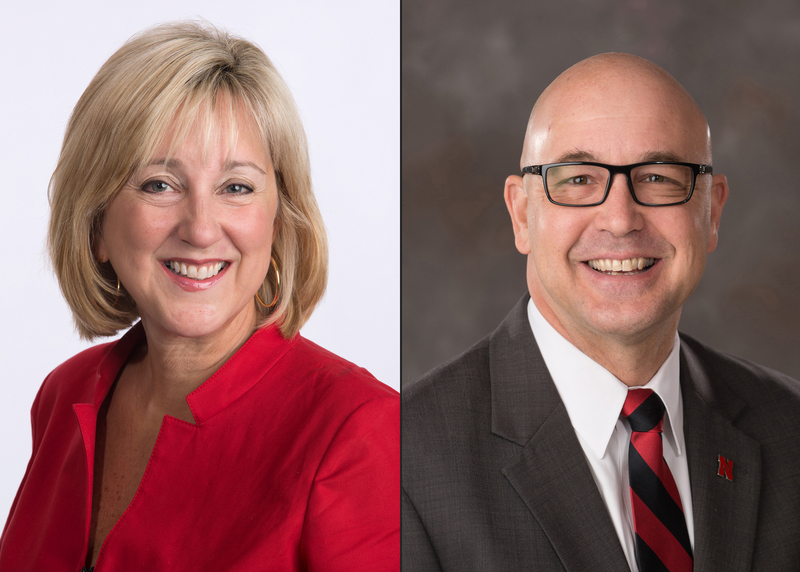 Michael Boehm and Donde Plowman started new roles Jan. 1. Boehm is Harlan Vice Chancellor for the Institute of Agriculture and Natural Resources and University of Nebraska vice president for Agriculture and Natural Resources, roles previously held by Green. In addition to leading all agriculture and natural resources affairs, Boehm oversees the Rural Futures Institute, the Daugherty Water for Food Global Institute and the Nebraska College of Technical Agriculture. Boehm came from The Ohio State University, where he was vice provost for academic and strategic planning and a professor of plant pathology. He brings vast experience in systemwide strategic planning; coordinating partnerships with K-12 and community colleges; and overseeing a library system, institutional research and planning, and academic units. A turfgrass management researcher, Boehm was the 2013 president of the American Phytopathological Society, the world’s top organization for plant pathology. Plowman is executive vice chancellor and chief academic officer, a position created after Green, who was serving as interim senior vice chancellor for academic affairs, became chancellor. Plowman is charged with leading the university’s academic enterprise and setting standards of excellence across the university. She oversees Nebraska’s academic deans, the Office of Research and Economic Development and Student Affairs. An expert in leadership and organizational change, Plowman came to Nebraska in 2010 and was the James Jr. and Susan Stuart Dean of the College of Business. As dean, Plowman created new College of Business programs, including an honors academy, a career services program and a master’s program in intercollegiate athletics administration; increased college enrollment 22 percent; and led fundraising efforts for the college’s new headquarters. Plowman is a renowned scholar in leadership and organizational change and has been published in leading journals in management and organization.